Piazza Navona is one of the most beautiful piazzas in all of Rome. A must-see attraction, don’t miss the chance to visit this iconic place on your Roman holiday. But when in Rome, eating is just as important as sightseeing. 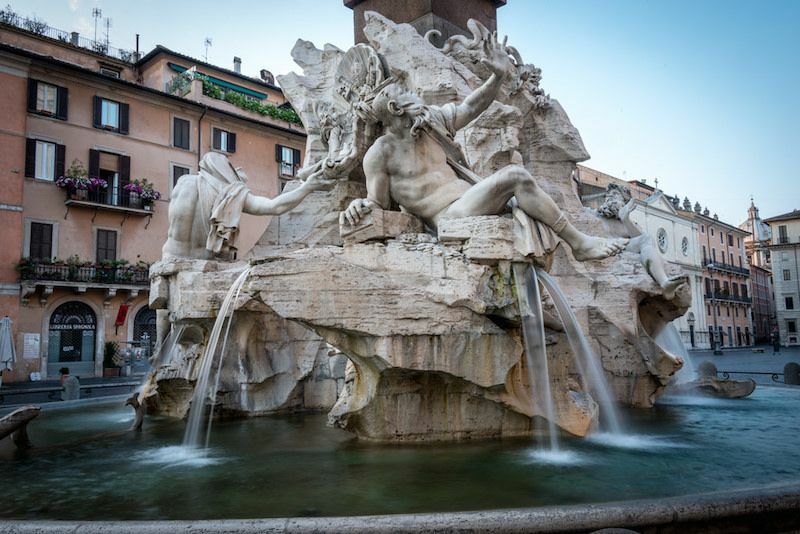 Whether you want a quick bite to eat or a classic Italian meal with a crisp glass of wine, here are five of the best Piazza Navona restaurants. Are you planning a trip to Rome? In addition to seeing the Colosseum and Vatican Museums, eating the best food possible is essential to an incredible travel experience. 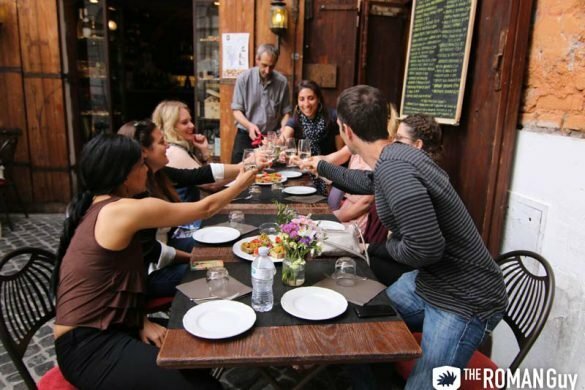 Check out the assortment of available Rome tours including foodie-led Rome food tours to make the most of your time in the Eternal City. This hidden gem is the place to go for a nice, sit down meal that’s worth every penny. Situated on a quiet street, head to this non-touristy restaurant near Piazza Navona to escape the crowds for a relaxing meal. The owner, Mr. Renato, is outstanding to all his customers and sometimes even offers his customers things to try for free. From antipasto to primi to secondi to dessert (if you aren’t in a food coma yet), every item on the menu is of the highest quality. Popular items to order include the the highly-reviewed black truffle fettuccine or the meatballs. And although the wine list is small, the options available are well-curated so you can’t go wrong. 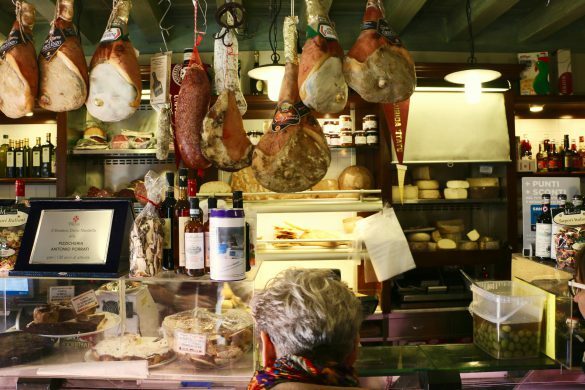 TripAdvisor lists this eatery as the fourth best restaurant in Rome – they aren’t wrong! Owned by two brothers hoping to bring the flavors from the Umbria region to Rome, this is the perfect place to enjoy aperitivo, the Italian equivalent of American happy hour (even though Italians don’t like comparing it to that!). 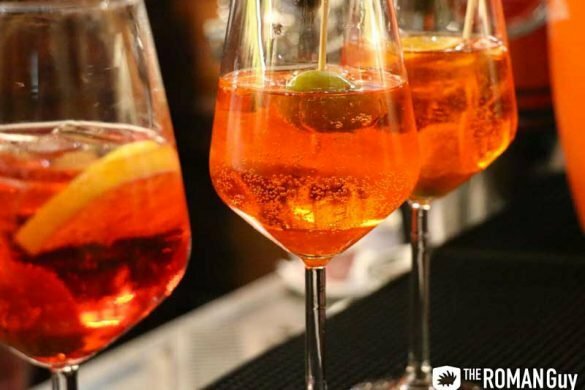 At aperitivo, a alcoholic drink is combined with a selection of snacks, meats and cheeses. Perfect for sharing, the classic platter includes all kinds of cheeses (try the caciofiore), meats, fresh fruits, bruschetta, porcini mushrooms, olive oil, honey, and bread. The price for this delicious spread? Only 11 euros a person! So, if you’re looking for a cheap restaurant near Piazza Navona, this is an excellent option. Plus, this place serves a wide selection of beer and wine to pair with your snacks. Saltimbocca is named after a popular dish in Italy (veal topped with prosciutto and basil.) Although it doesn’t look like much from the street, Saltimbocca is highly-recommended by locals and is a great spot to mingle with non-tourists. Head the to this place for some of the best pasta in Rome near Piazza Navona. 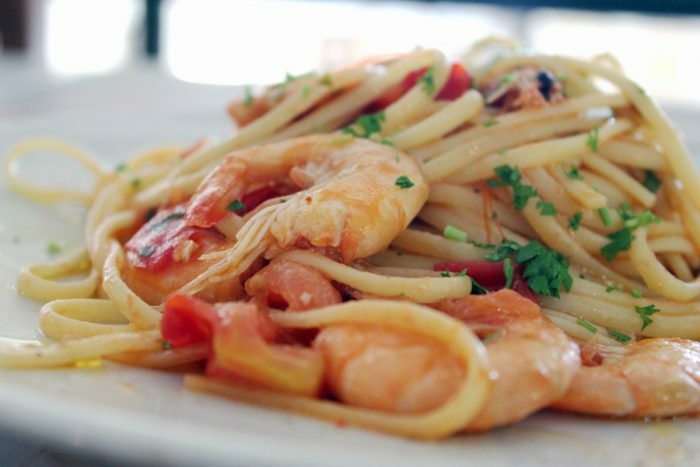 Try the carbonara, amatriciana, or the cacio e pepe – they are all classic Roman pasta dishes. The portions are huge and the price is very reasonable so make sure to come on an empty stomach! The owners at Saltimbocca are very friendly and will leave you with a free glass of limoncello to help you digest your meal. If you’ve been in Rome for several days and you need a break from carbo-loading (pizza and pasta everyday), switch it up and head to Que te Pongo. This little caffe near Piazza Navona is the perfect spot for the fish lover in your group. Specializing in all things salmon, these chefs are excellent at what they do! In addition, if you’re looking for a quick lunch or a tasty sandwich accompanied by a refreshing glass of wine, this is an ideal Piazza Navona restaurant. At a salmoneria like Que te Pongo, it is clear what you have to try: the salmon! The salmon here comes in all varieties. From filleted to topping a salad, the options are plentiful. When you get up to the counter, pick from the menu then talk to the friendly chef and he’ll recommend what to add on based on your taste preferences. If you’re looking for a suggestion, try the smoked salmon salad. It comes with an artichoke and a delicious yogurt dressing. After exploring Piazza Navona, the best way to cool down and escape the Summer sun is to enjoy a heaping scoop of gelato at the best joint in town, Frigidarium. 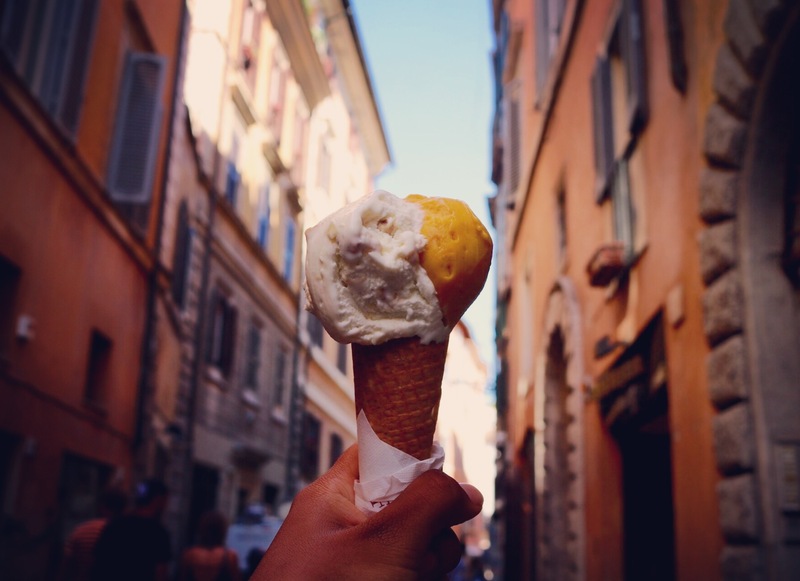 This famous gelatoria gets a lot of hype with tourists and locals alike, and for good reason. You get a generous amount of gelato at a price that can’t be beat. There is always a line around the corner, but it’s worth the wait. Try getting your gelato topped with dark chocolate glaze for a tasty treat.